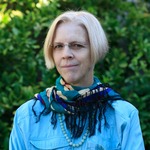 MesoAmerican Research Centerhttp://marc.ucsb.edu/Anabel Ford is director of the MesoAmerican Research Center at the University of California, Santa Barbara and President of the non profit Exploring Solutions Past: The Maya Forest Alliance. She earned her MA and Ph.D. in Anthropology at University of California, Santa Barbara. Her research, funded though scientific and development venues, focuses on the ancient Maya landscape, combining archaeological settlement survey with traditional ecological knowledge. Recognized for uncovering the ancient Maya city of El Pilar and inspiring the creation of the binational park on the border of Belize and Guatemala, she has been awarded Fulbright Scholarships and the Rolex Award for Enterprise. I support food SOVEREIGNTY where small holders have a sustainable food base and can capitalize on that. I look forward to learning how you find the right Shea type food for these caterpillars that is indigenous. I am not so keen on the idea of synthetics that are not local. That cannot be viable.